A London doctor’s World War One’s heroics has been recognised with the unveiling of a new blue heritage plaque, on the 100-year anniversary of the start of the war. John Alcindor, known as the ‘Black Doctor of Paddington’, served as a volunteer in the British Red Cross in World War One – despite first being rejected from the Royal Army Medical Corps in 1914 because of his “colonial origin.” Not dismayed by the first rejection, Alcindor served Britain by helping wounded soldiers at London rail stations as the returned from the battlefields. Following the war his work was honoured with a Red Cross Medal, but now his stubbornness to serve was celebrated yesterday with a public plaque. Alcindor not only served his country in war, but he served his community as a doctor in the early 20th century, even becoming a senior district medical officer for Paddington in 1921, before his death in 1924. 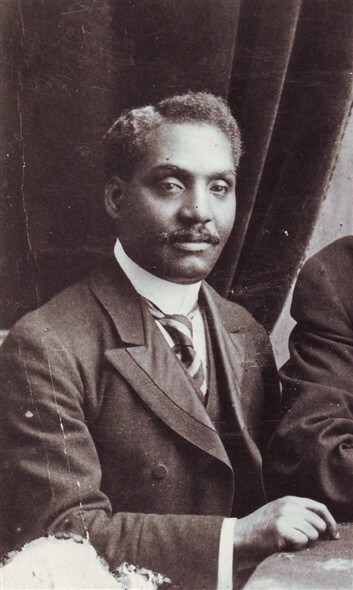 As part of the international centenary to commemorate World War One, the Nubian Jak Community Trust, with support from the Edward Harvist Trust and Westminster City Council, has this week unveiled a blue heritage commemorative plaque at the former site of Dr John Alcindor’s surgery in Paddington, Westminster. Speaking at the ceremony was the Lord Mayor of Westminster, Cllr Audrey Lewis, who said who said Dr John Alcindor was a remarkable man who is remembered for his devotion to his patients, whatever their origin or race. Jeff Green, a local historian, also spoke at the ceremony and said: "For over twenty years Dr Alcindor aided thousands of people in Paddington. He was also a respected cricketer, Catholic, and president of the African Progress Union. His death at the age of 50 was a great loss to the sick and to the Caribbean and African community." Mrs Reshma Bissoon-Deokie, Acting High Commission for Trinidad and Tobago expresses similar sentiment. She said Dr. John Alcindor’s achievements in the medical and military fields, as well as his ardour for service and racial equality, serve as a testament to the impact one can have on society regardless of origin. “The Trinidad and Tobago High Commission salutes the life and legacy of Dr. Alcindor and is pleased to see one of the brilliant sons of Trinidad and Tobago being honoured for his indelible contribution. We hope his story can serve to inspire future generations”. Bar Holmes, Granddaughter of John Alcindor, said: “Although our grandfather never knew his grandchildren/great grandchildren because he died in 1924, we are immensely proud of his passion for both helping those who could not afford to pay for GP services in those days, and for his fight to promote racial equality at that time. We very much appreciate that his efforts have been recognised with this Plaque."